Although the winter can be harsh and all the growth seems to just stop there is hope when the spring finally comes. Every year a special groundhog comes out to see his shadow or not and because of that he can tell if winter stays a little longer or spring is soon to come. The year spring is on its way! That is if the old groundhog is right. 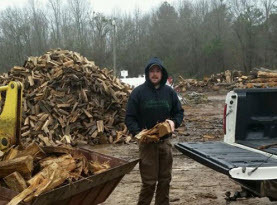 Whether he is or not, now is the time to start preparing for the spring and learning what you need to do with your newly growing trees, plants, shrubs and flowers. The trees are part of your property that will last many years only as long as they are taken care of. Most people will choose to add a tree that is not a mature tree. These are what are called a sapling. They are a small tree that can be planted in the ground and left to grow. The sapling once it has been planted needs your attention if you want it reach its full potential. Correct Process of Planting a Sapling: You want to make sure that your tree has been planted properly. The tree should be put in the ground at the right time of the year so that it has time to expand its roots. The time of year is important as well so that the ground is not too cold or frozen. You also need to make sure that the tree has enough time to take hold before the weather turns cold again. That means that you don’t want to wait too long to have the tree planted as well. The planting should be done by a professional that has the tools and the expertise. 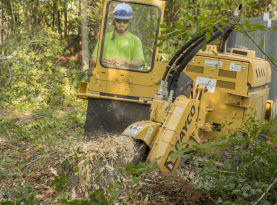 Proper Tree Trimming & Pruning Techniques: A new sapling will need to have work done as well as maintenance to ensure that it has what is needed to make it to maturity. When a tree does not make it to maturity it is often from care not being taken. Some people may think that after the tree looks like it has started to grow that it can be left to continue. The fact is that the tree will need care on a regular basis to make sure it reaches maturity and that the tree takes the shape that is intended. The best thing that you can do for a new sapling is to make sure that a professional comes out to prune and trim the tree. This will help the tree grow properly as well as give it the best chance to survive. 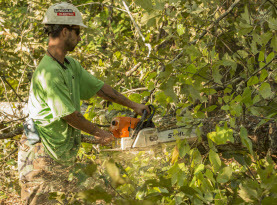 The pruning and the timing is best done by a professional that knows where to work and when. Importance of Watering & Mulching: You want to also make sure that the tree has the proper amount of water as well as nutrients in the ground surrounding the tree. The protection can be mulch that will protect the ground as well as the roots of the tree. These are things that should remain done for the tree even when it has reached maturity. 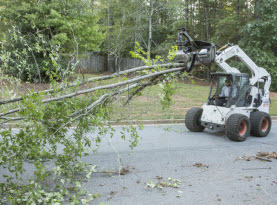 Milam Tree Services can make sure that your new sapling makes it to maturity with pruning, trimming, mulch supply and more. Call us today!